An important part of development is, obviously, being able to test changes you develop and ensure that they function properly. In a complicated ecosystem like OpenStack there is a need to also be able to verify the interoperability of your code. You may make a change to Cinder but that change can also impact the way that Nova interacts with Cinder’s APIs. Developers need an easy way to deploy an OpenStack cloud to do functional and interoperability testing of changes. This is the purpose of DevStack. 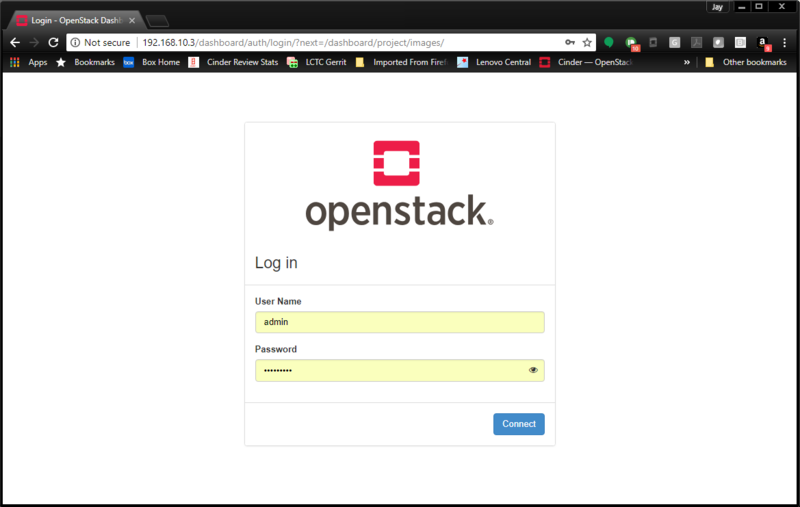 DevStack is a modular set of scripts that can be run to deploy a basic OpenStack cloud for use as a demo or test environment. The scripts can be run on a single node that is baremetal or a virtual machine. It can also be configured to deploy to multiple nodes. DevStack deployment takes care of tedious tasks like configuring the database and message queueing system, making it possible for developers to quickly and easily deploy an OpenStack cloud. By default, the core services for OpenStack are installed but users can configure additional services to be deployed. All services are installed from source. DevStack will pull the services from git master unless configured to clone from a stable branch (i.e. stable/pike). DevStack’s full documentation can be found here. To get DevStack you will need to clone it from the devstack repository under openstack-dev. It is recommended before proceeding further to set-up passwords and IP addresses for the environment in which you are running DevStack. This is done by configuring the local.conf file in DevStack. On some distributions you may need to also set the HOST_IP. Whether this is necessary will depend on what naming convention is used for network interfaces in your operating system. Further down the file is the Using milestone-proposed branches section. These are the variables that can be changed if you wish to clone a branch other than master for one or more projects. Once your changes have been saved to local.conf you are ready to deploy an OpenStack cloud with DevStack. Once you have your local.conf file configured executing DevStack is quite easy. The following command needs to be run as a user with sudo access and NOPASSWD configured. The above command and subsequent command examples assume you are still in the root directory of your DevStack clone. A log of the stack.sh run is kept in /opt/stack/logs/stack.sh.log. If OpenStack was successfully deployed by DevStack you should be able to point a web browser at the IP specified by HOST_IP in local.conf and access Horizon. A more complete reference of using systemd to interact with DevStack can be found on the Using Systemd in DevStack page. Using DevStack to develop and test changes is easy. Development can be done in the project clones under /opt/stack/<project name>. Since the projects are clones of the project’s git repository a branch can be made and development can take place. DevStack uses the code in those directories to run the OpenStack services so any change may be tested by making a code change in the project’s directory and then by restarting the project’s service through systemd. Once testing and development of your code change is complete you will want to push your code change to Gerrit for review. Since the projects in /opt/stack are already synced to their respective git repository you can configure git review, commit your change and upload the changes to Gerrit.